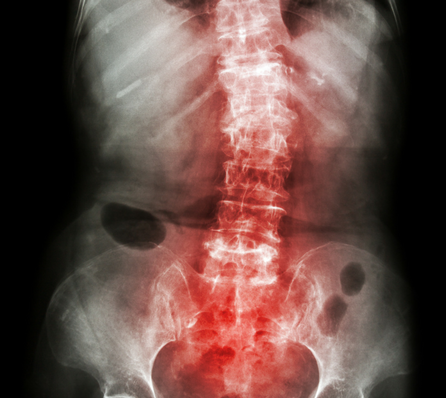 Ankylosing spondylitis is an auto immune disease and a type of arthritis that mostly affects the lower parts of the spine, particularly the sacroiliac joints. It can also affect other parts of the body too. Unfortunately, if the disease progresses further it can result in new bone formation and fuse sections of the spine which can result in immobility in the affected area. There are many proposed causes of AS, athough it can vary from person to person. There is one particular group of genes known as HLA-B27 that has been linked strongly to AS. People with this gene are more susceptible to AS or other autoimmune diseases and need to be more careful. Gut microbiota plays a huge role in the way we think, feel and what we are diagnosed with, so it is always important to look here first. There is a strong connection between inflammation in the gut and people who have AS symptoms. Gut inflammation is caused by a number of factors including consuming foods that you might have a reaction to, imbalance in the gut bacteria, low hydrochloric acid and leaky gut. An overgrowth of a particular bacteria known as Klebsiella has been seen in many patients with AS. We know that there is dysbiosis (overgrowth or undergrowth of certain microbes in the gut) prevalent in those with AS, though it is important to know what the dysbiosis is, and Klebsiella overgrowth may be one of the reasons for someone’s diagnosis. The best way for an individual to find out is through a Comprehensive Digestive Stool Analysis. This will identify what you need to focus on to reduce your potential overgrowths of bacteria, parasites or yeasts. Other microbes that may be linked to the pathogenesis of AS include Salmonella, E.Coli and Yersinia. Being an inflammatory illness, it is crucial to consider diet when it comes to AS. Diet has a huge impact on the balance and diversity of our gut microbiota, so it is crucial to focus on a wholefood, anti-inflammatory diet to ensure you have a healthy microbiome to prevent the balance of microbes being altered. Moreover, studies have shown that those with AS were less likely to be breastfed, so if an individual was not breastfed than they simply just need to be a little more careful and take actions to support their microbiome as best as possible. A high starch diet has been linked to the diagnosis of AS, and lowering starch has also helped to reduce symptoms of AS. Starch may include anything from a piece of bread to a serving of sweet potato, so it is important to consider all foods that contain starch, and if you need support from a practitioner than seek this before embarking on a new way of eating. Studies have also shown that lactobacillus and Bifidobacterium may also assist those with AS. Consume turmeric and black pepper as regularly as possible to reduce inflammation. A therapeutic dose is one heaped tsp of turmeric, alternatively take a supplement such as this one. Consider having a Comprehensive Digestive Stool Analysis (CDSA) which you can organize through many holistic or integrative health practitioners. If you have already eliminated the above foods, you may need to consider nightshade vegetables (the main ones are – potatoes, tomatoes, eggplant and peppers/capsicum), eggs, nuts, grains and/or legumes. Please, let us know if you or a family member has reduced AS symptoms and what worked for you. We’d love to hear from you. My daughter who is 42 years old was diagnosed with AS when she was in her twenties. Last year her doctor thought she should see a Rheumatologist. Which she did and he said she did not have AS. She still has quite a lot of pain. How easy is it to diagnosis? Hi Sonia, so sorry to hear your daughter is going through this. We recommend that you consult with a functional medical practitioner to help. I suspect it’s a long process of elimination Sonja. AS is notoriously hard to diagnose. U need 45degree x ray of pelvis to confirm SI joint inflammatkon/scarring. The combination kf symptoms and Hlab27 blood antigen should b sufficient to confirm. Good luck. Also, get sigmoid colonoscopy to check for ulcers in colon. I was diagnosed with AS about 5 years ago, I am a 44 year old female. My father and sister also have been diagnosed. I follow as much of the above mentioned as I can. About 2 years ago I started having kefir and it has really helped with my gut problems. I am a 66 year old grandmother. I have had treatment for AS for the past 15 years. It took 5 years prior to my treatment to be diagnosed with AS. I was a mystery to the specialist I was seeing until I told him my bum cheeks hurt. Apparently he had a lightbulb moment and I was referred to the AS Clinic for positive diagnosis. I have lived a very good quality of life after being treated with TNF’s every 6 weeks. If you can get a positive diagnosis, the treatment is amazing and a return to a pain free life. I also went down this road for six years. Ongoing six weekly infusions of Infliximab (Remicade) with up to 250mg of hydrocortisone. Once I got relief and my life back I started to Cha he my lifestyle. Arête wig clean eating and have implemented all what has been suggested. Then 3 years ago I stopped my treatment ts no haven’t looked back. In fact my CRP #1 was never this low when I was on the treatment recommended by my Rheumatologist. Symptoms are very manageable living #Paleo #LCHF #Ketogenic #Intermittent fasting. Hi Jan, what beautiful inspiration! Well done. Hi Robyn, I was so interested to read your comment!! My mother has the same symptom as you (sore bum cheek) and has had for years and no one can give her a reason as to the cause. She has been diagnosed with another autoimmune condition and now I’m wondering if she has Ankylosing spondylitis as well?? I would love to know the name of the AS Clinic you mentioned. I wish you the best with your health. Hi thankyou for this article it’s exactly what I’ve researched over the last couple of years, I’m 46 and was diagnosed at 16 but only the last 5 or so years have I changed my diet even though I always thought i ate quite healthy anyway. Giving up starch is a must for me even sweet potato gives me pain. Night shades as well. I take a good quality probiotic twice a day, make my own fermented foods and drinks and eat real food. Im also medication free from changing my diet. Hi Natasha, absolutely amazing, thank you for sharing. Thanks for a great article … I was diagnosed 5 years ago with AS and was in extreme pain & discomfort and was happy to try every drug that was offered Methotraxate to start with and eventually Humira injections …. after horrible side effects and researching how these drugs affect the body i decided there had to be a healthier way to manage AS. So I worked with a local naturopath did a 6 week detox to rid my body of all the toxic chemicals that we consume through medications environment food etc then changed my diet. I eliminated all dairy gluten as well as any inflammatory foods ( especially sugar and anything processed) and then included foods for healing the gut. Probiotics & started to make my own yoghurts sauerkraut Kimchi etc I use turmeric in/ on everything possible and always team it with black pepper & coconut oil I also try and avoid nightshades. Many thanks for your article as there needs to be more information on how FOOD DOES HEAL regardless of what most medical professionals tell us!! Wow Julie, absolutely amazing. Well done! My husband was discharged from the army 50 yrs ago because of back pain. Over the following years the pain worsened and a new doctor gave the diagnosis of AS. He is now 72 and his last lot of X-rays showed that his spine has now calcified. If the army had discovered AS 50yrs ago, it would have been possible to slow its progress. A military pension has not helped his physical condition and his life now consists of reading and not much else. Hi Dorothy, we are so sorry to hear of this. Diagnosis is certainly important and we hope from this article something can be gained regarding diet. All the best! My back pain and stiffness began at age 13 and continued for years. I was also a mystery to many specialists. At age 33 I was advised by an M.D., turned N.D. that I had food intolerance. I didn’t believe it but a few months after I took the advice and eliminated gluten, dairy and soy. I improved so much. Over the earlier years my spine had curved “idiopathic scoliosis” they said. I eventually had genetic testing and found to have the HLA-B27 gene. Today I’m 46 and follow the ketogenic diet which brings me the most relief. I still deal with SIBO but it’s not a problem as long as I stay with the ketogenic diet. One slight cheat with sugar and my hips and lower back will stiffen during the night. I still sleep with a heat pad in case stiffness comes on. I’ve missed years of sleep over this. But I didn’t stop searching for what my issue was. It took years but I refused to continue to take medicine. I wish othe AS sufferers knew how much diet plays a role. Very sad they aren’t told even by the Associations. It is AUTOIMMUNE which means it can be turned “off” as it was turned “on”. Hi Anya, absolutely amazing! Well done! Hi Andy, how beautiful. An inspiration and so happy to hear your health is on track! If this is common in people who were not breastfed, then it seems to me that breast milk should be consumed now. Why not? Hi Mary, yes most certainly, breast milk is best! More and more women are getting diagnosed because our symptoms are a bit different than men. We have more peripheral pain. Gut analysis and a low startch diet are key. Most AS sufferers take 6-8 years for a diagnosis. You have to really push your drs that something is not right and it is not in our heads! Still so many myths are being perpetuated. Hi Anne, thank you so much for your insight and experience! Great Article . I was diagnosed 6 months ago just weeks before my 46th birthday. My story is typical of women with the disease – id been symptomatic for nearly 10 years before diagnosed mainly due to NOT having the gene commonly associated with AS and being female! However i have suffered severe gut issues for over 10 years and as time passed i found i just needed to eliminate more and more from my diet until i was only eating a handful of things. Going Paleo a few years ago helped with the gut issues but not with the pain in fact it was just worsening. As soon as i got the diagnosis i engaged the auto immune protocol(so meat/some vege/fruit/some fats) and within 3 weeks i started to see improvement. I have worked out that anything coconut causes a big increase in pain!! as does the starches. Although fermented foods are also troublesome for me(they tend to worsen gut symptoms but not pain), i do try to include them every now and again knowing they are needed to improve the gut microbiome. I am doing really well now – in fact the best I’ve been in 5 years. I’m now doing yoga, driving further, less fatigued, and I’m not on any analgesia. My belief is that there is a definite connection between gut health and AS and had i been diagnosed earlier i may have been able to prevent the damage that has already occurred through diet and learning what foods are causing an increase in the inflammation. Wow Kathy, this is so exciting! Well done for sticking to your truth and knowing that there is a better option for you. I am sure you have inspired some. Sheridan. Anyone know of a naturopath in the San Fernando valley/Los Angeles area? Isn’t the blood test really the ONLY way to made a true diagnosis of AS? I have been going through test after test for years to figure out WHICH auto immune disorder I have. My symptoms mimick AS the most, but the HLA-B27 test came back negative…sigh…I do live the Wheatbelly live style and that helps as I refuse all modern RX’s, but I would love to have a TRUE diagnosis! Hi Jacquie, we recommend to organise to see an integrative GP that has access to a broad range of testing methods and that deals autoimmune issues. Diagnosing illnesses is not our area of expertise, however diet and nutrition certainly is. Start with an integrative GP and hopefully this helps. You state in the below section.. from above; that oats have gluten. They do not. I’m a crop scientist who is celiac, so please give me some latitude, not attitude. Thanks. Oats do have a protein that functions similar as to the proteins of gluten, but reactions are few and far between. Please correct. Hi Michael, so sorry for the misunderstanding. We are aware that oats by themselves do not contain gluten that is highly inflammatory, however, what we know is that in Australia and many parts of the world, oats are definitely contaminated with wheat and therefore can contain high traces of gluten so it is best avoided. However, you can find uncontaminated oats which can sometimes be well tolerated, an example is Bob’s Red Mill uncontaminated oats. We hope this clarifies why we mentioned oats as a product to avoid if strictly avoiding gluten. Hi, I am 42, and suffering more than 20 years by AS.I have diagnosed 6/7 years back, my doctor prescribed me salfasalazine,but i didn’t start that time but recently my neck get stiff and can’t sit for long due to back pain.so i have started salfasalgzine to take. My doctor didn’t mention about diet and he is very renoun reumatalogist.So it confused me about the diet. Hi! It’s great to see this chat about holistic treatment for AS. I am a 36 year old female who was recently diagnosed after 10 years of si joint pain, sometimes so severe that I can’t walk. I just had a baby girl, and for anyone who is considering pregnancy, it might help your symptoms. In addition to eating mostly Paleo, 100% gluten free, and avoiding nightshades, pregnancy hormones helped my condition, and in fact, I went through the entire pregnancy pain free. I couldn’t believe it! I am since breastfeeding and have been relatively pain free until a flare up last week. I ate out at restaurants 3 nights in a row and wasn’t vigilant about ensuring the food was gluten free. I attribute my pain now to my negligence over the past week. To combat this flare up I currently have, I have been vigilant about diet and have consumed more omega 3s and other anti inflammatory foods. I believe this flare up will be resolved within a few days, as I am already seeing results. What is most disappointing is that my rheumatologist says there is nothing I can do to stop the disease except to take NSAIDs or Humira. I will never take these meds! Reading some of these replies gives me hope. A little. I have had years of progressive pain since my 20s, in my knee, sprained two ankles and now they’re so weak they hurt mist of the time – or is this the food intolerance?…. Lower back pain set in for about seven years, then uppoer scoliosis and stiffness. I attended a very costly clinic in India and they diagnosed spondyliyis – they said it’s not so bad and it’s reversible + is it?? Since leaving a, week ago I’m in more pain than ever, in Bangkok. Developed severe tightness in my chest and upper back. Even if I could walk without ease, it’d be something but every part of me aches. I really want to give up.